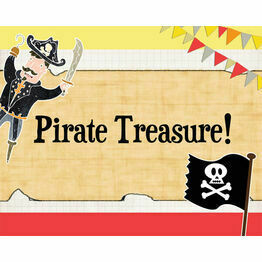 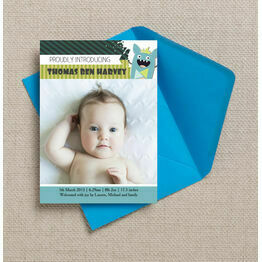 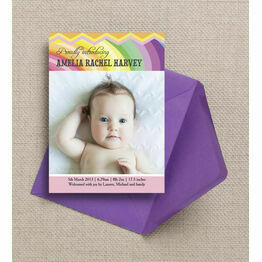 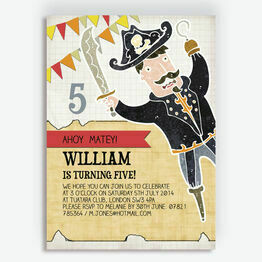 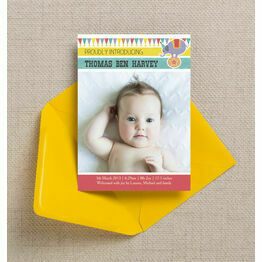 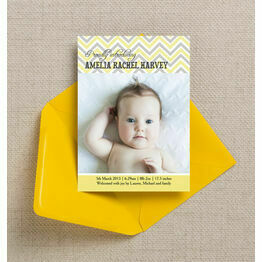 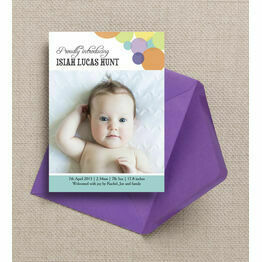 Part of our Pirate Party children's party stationery collection, these cards can be used for any celebratory occasion. 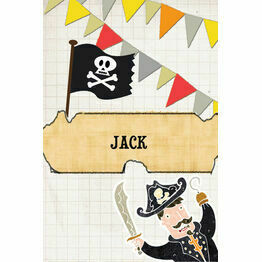 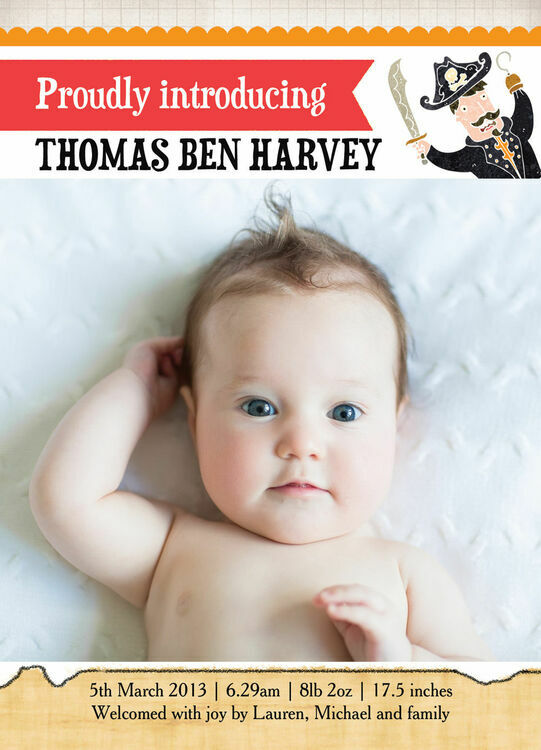 They are filled with adventure and cheeky pirate illustrations, with a space to upload your own photo and personalise the text too. 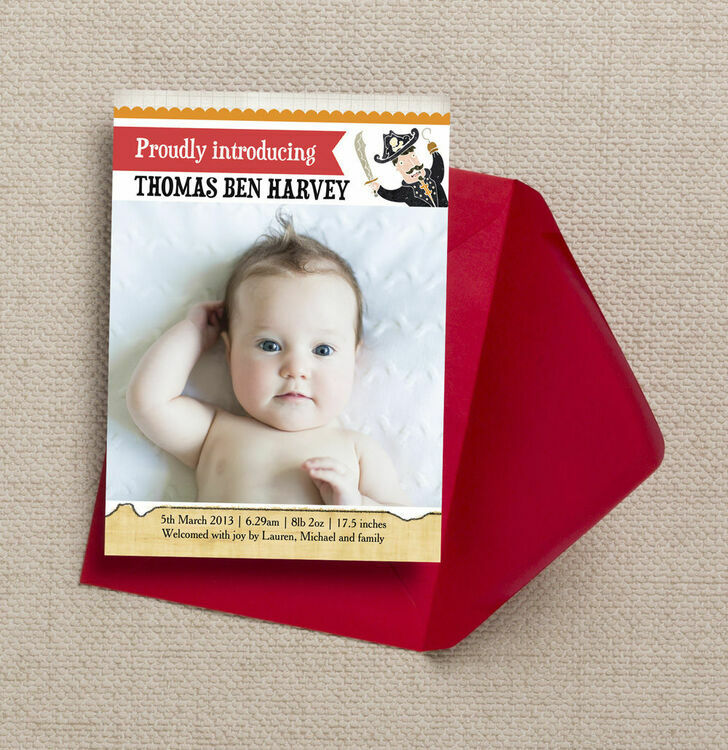 Simple customise the wording accordingly and you can download this design to print from home, or order your cards professionally printed.